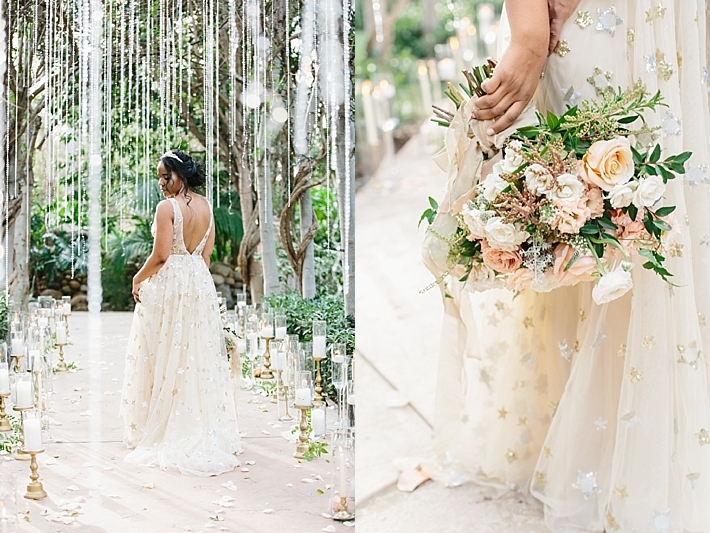 "Our inspiration all spawned from the Gorgeous Orion dress by Watters (WillowbyWatters) and it's gorgeous sense of whimsy and charm. 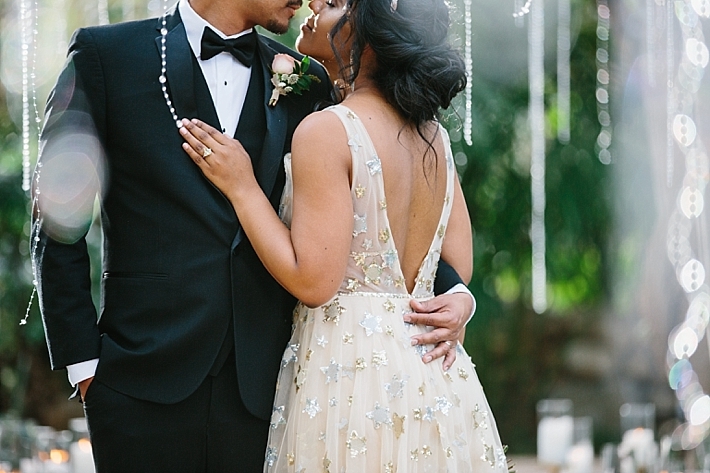 It's sweet while being a little sassy and all sorts of romantic and dreamy. 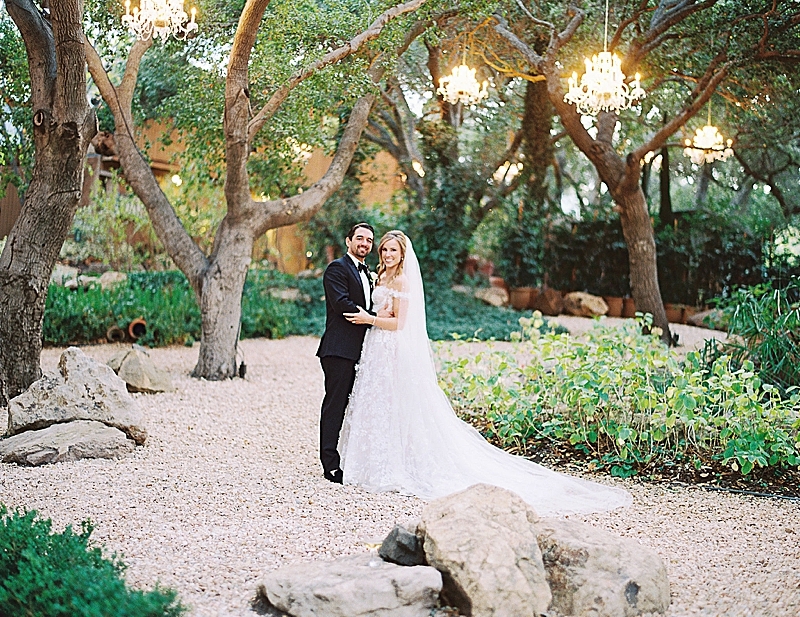 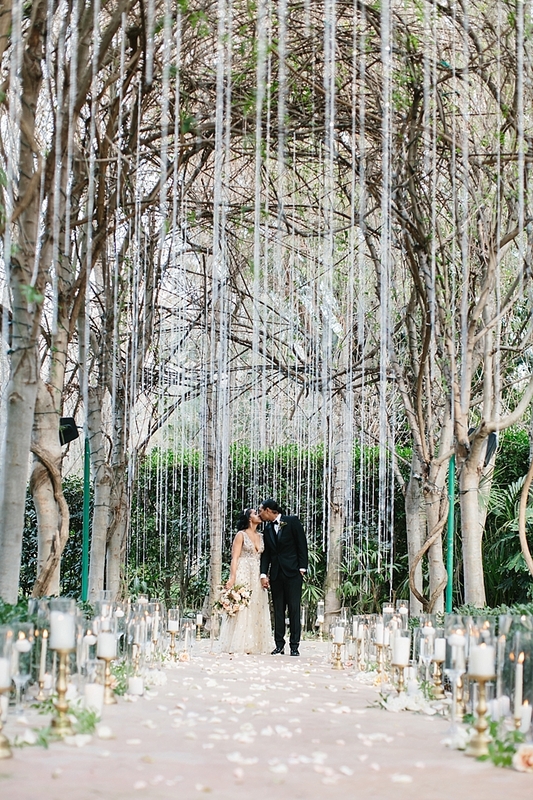 We wanted a fairytale romantic setting that seemed like it was in a dream without literally being in the clouds." 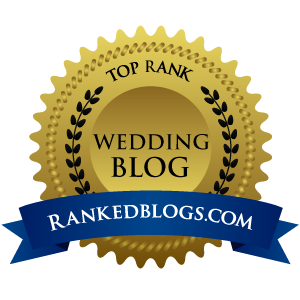 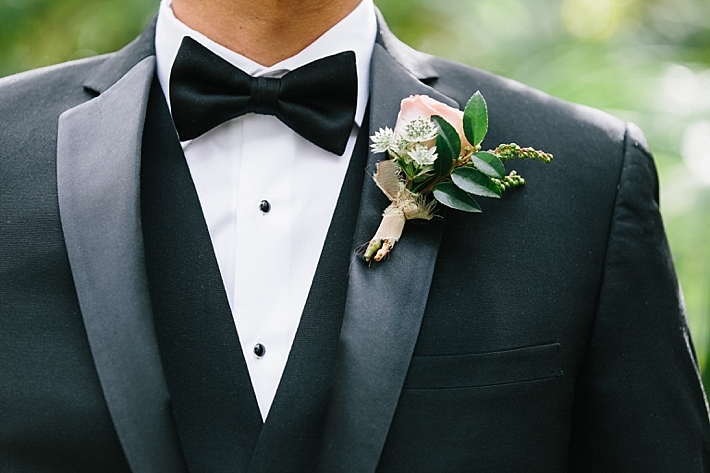 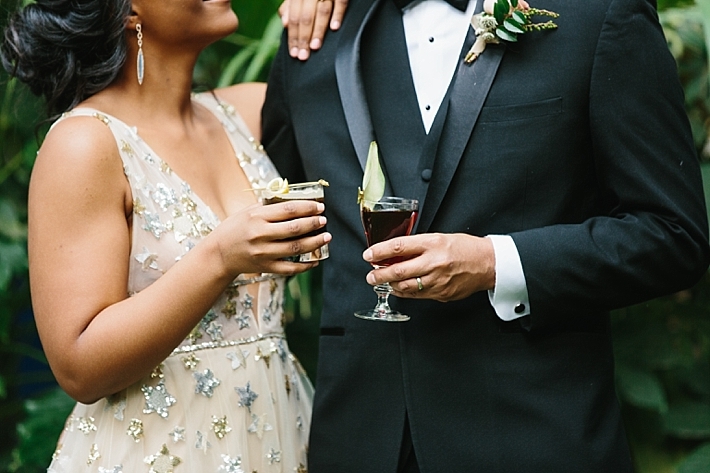 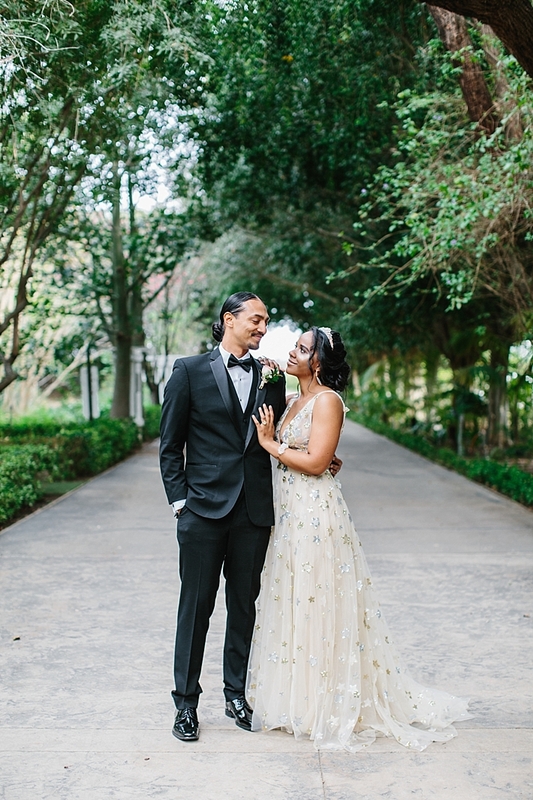 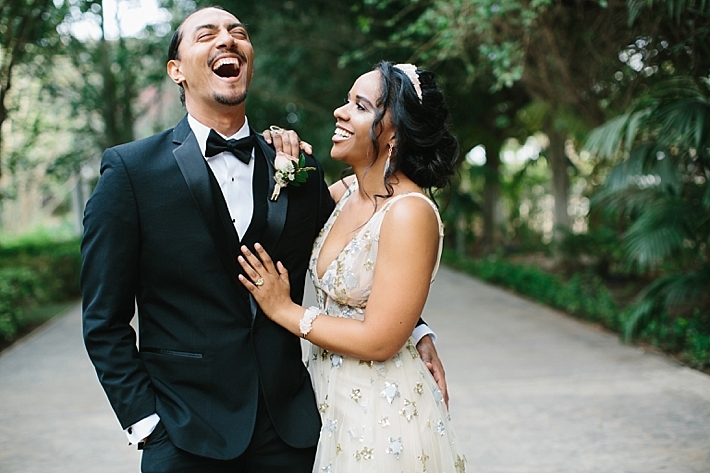 "A classic tux for him to be slick and dreamy while setting off her magical and sweet wedding dress by Watters. 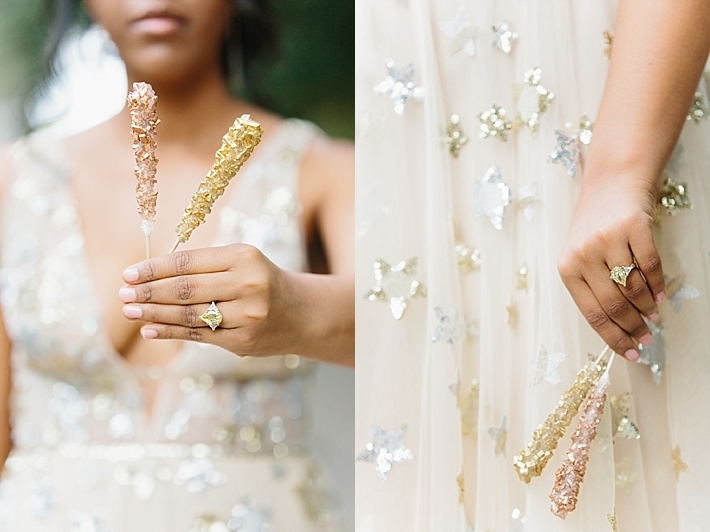 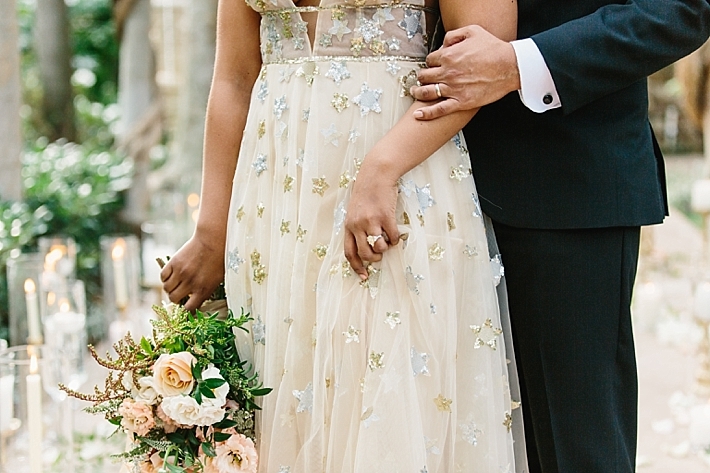 A crystal crown to add that little extra whimsy and a ring that screams unique glam." 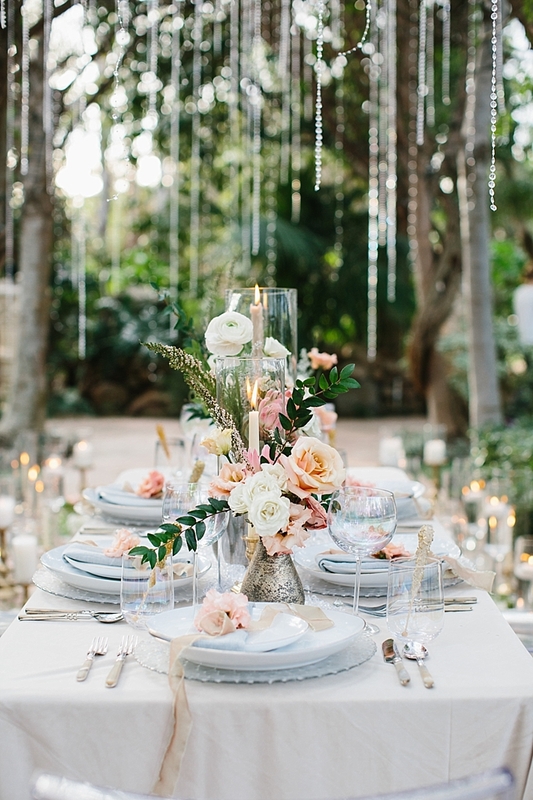 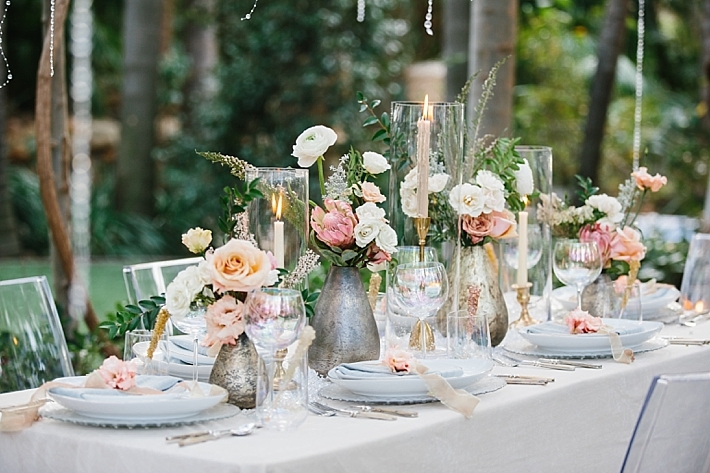 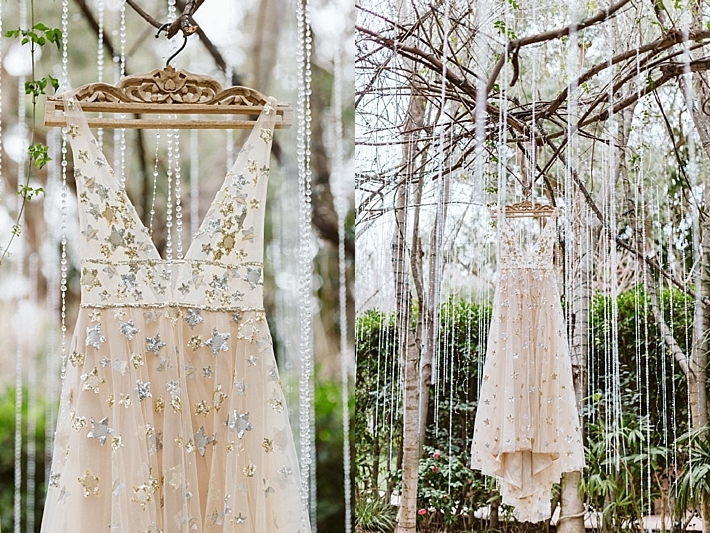 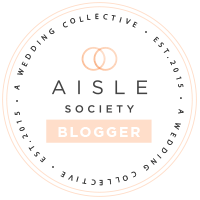 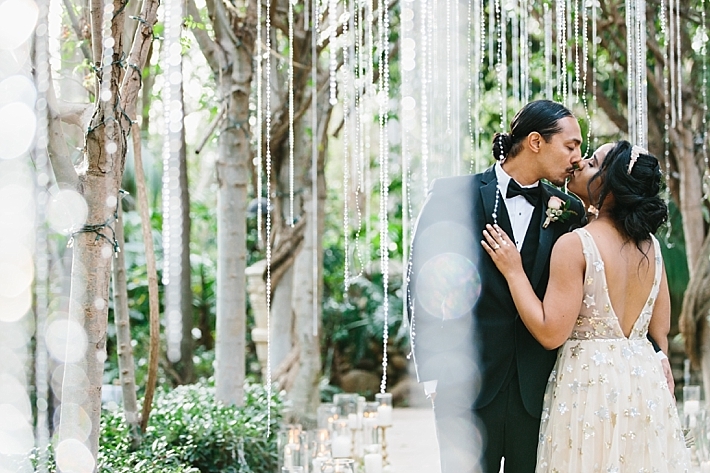 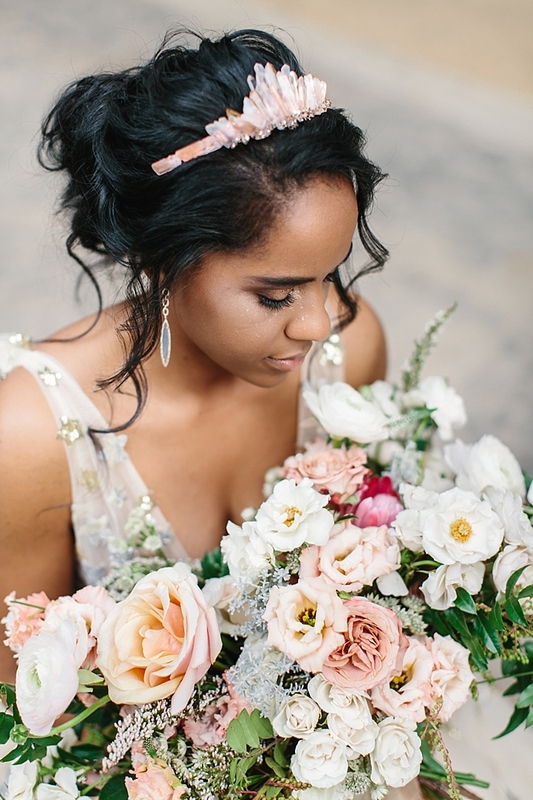 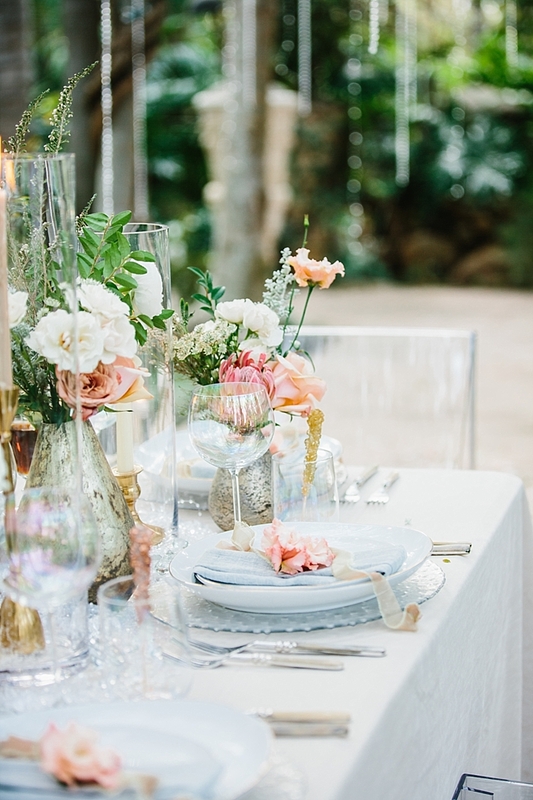 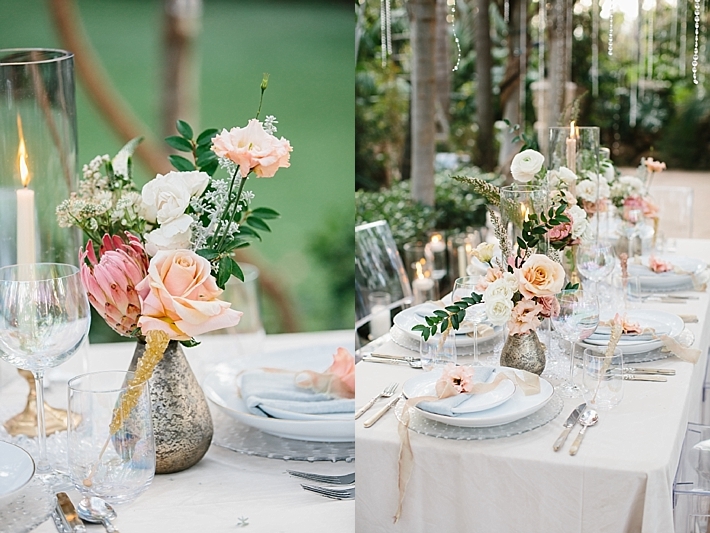 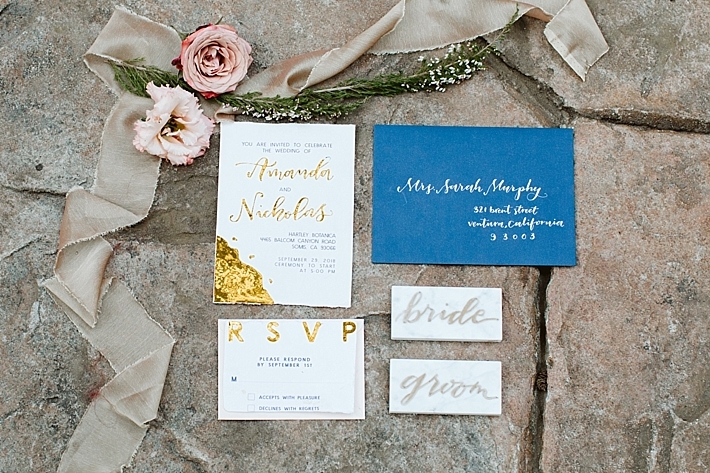 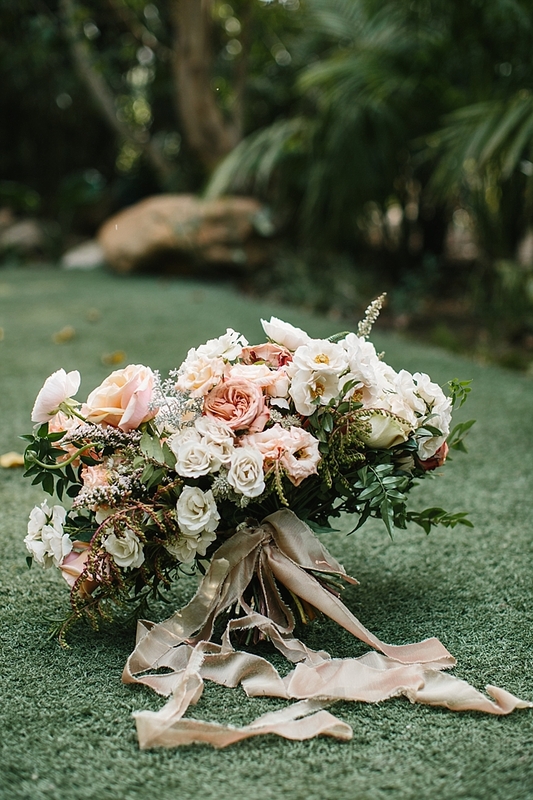 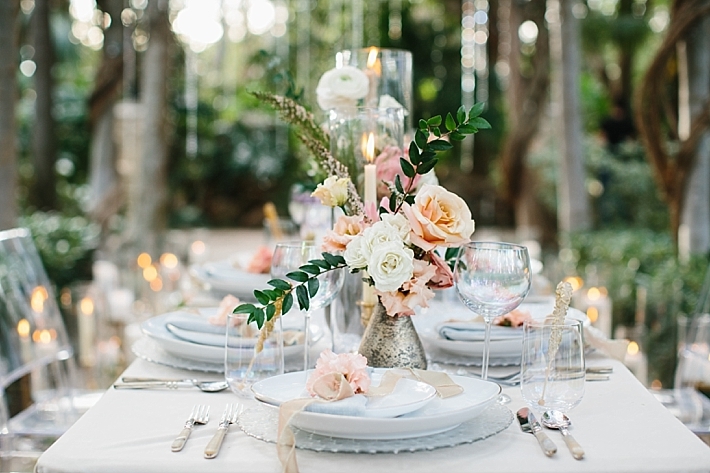 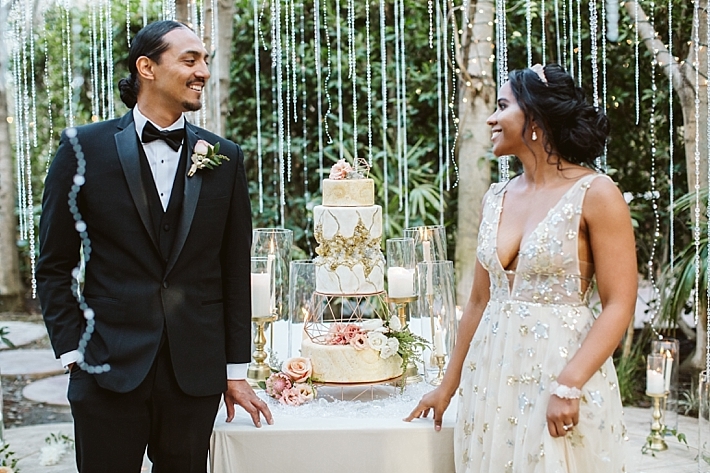 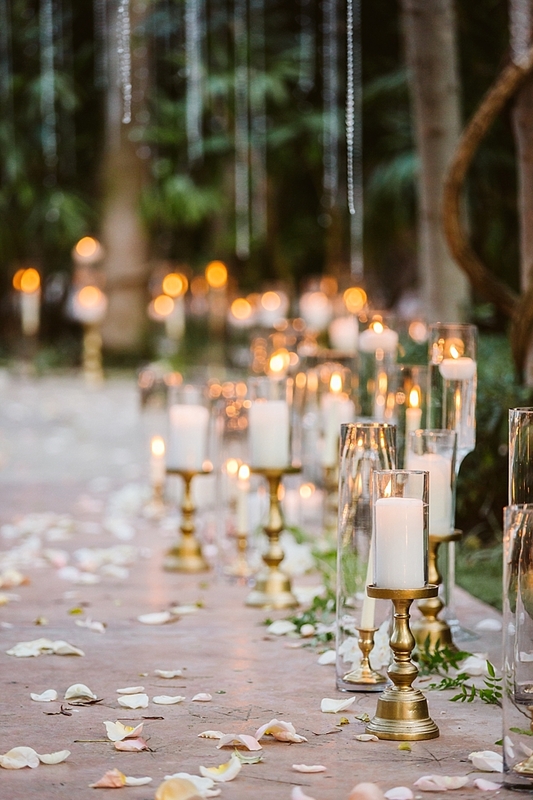 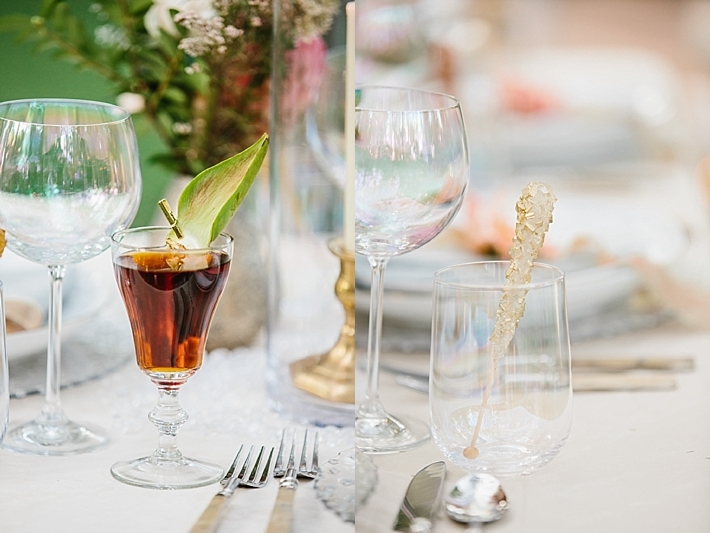 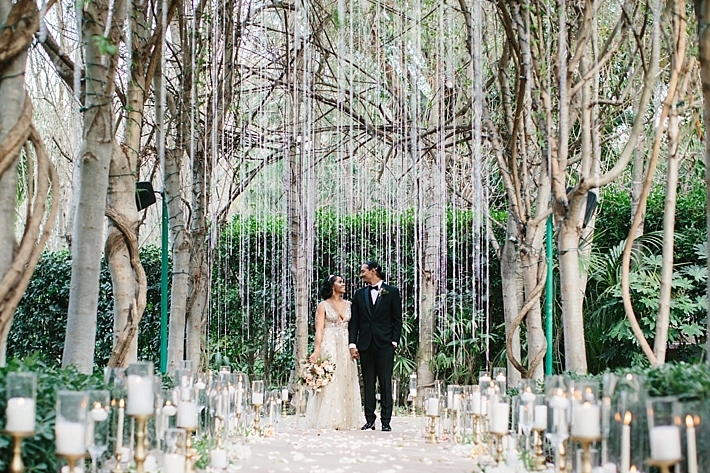 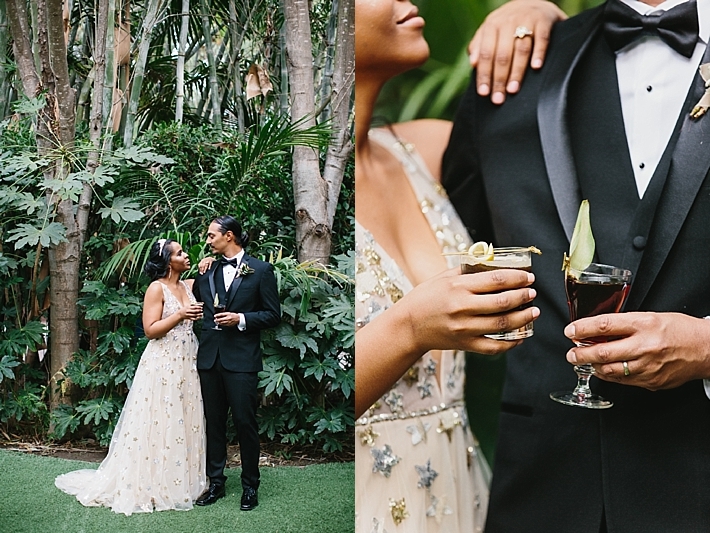 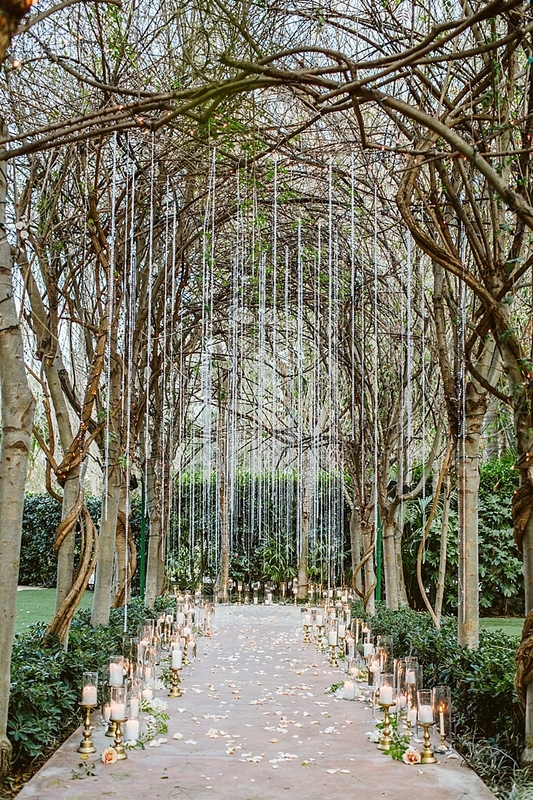 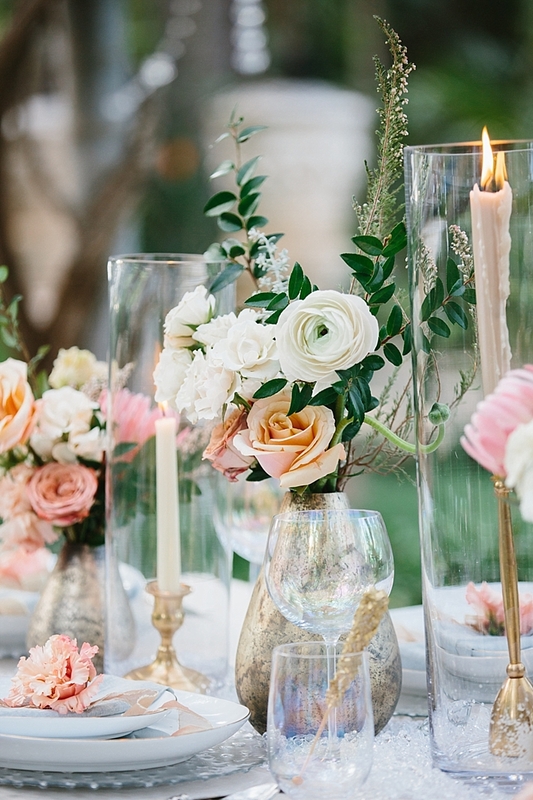 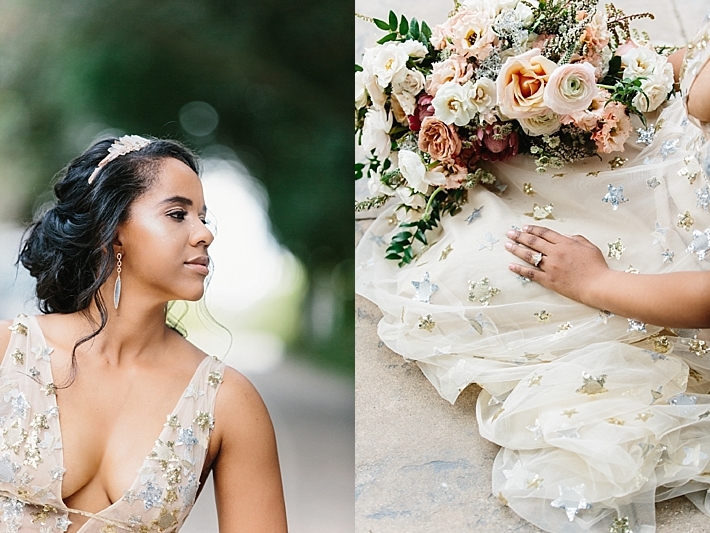 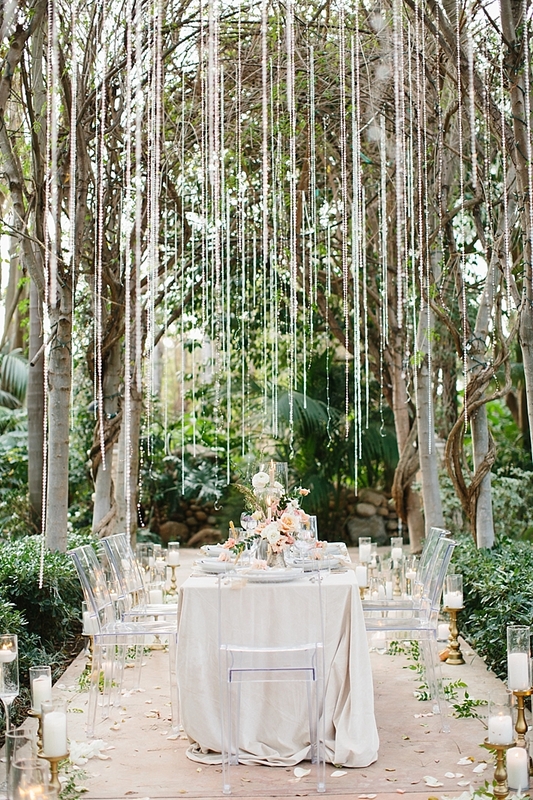 "Gorgeous muted and pastel tones that are understated and not overpowering while also being romantic and whimsical." 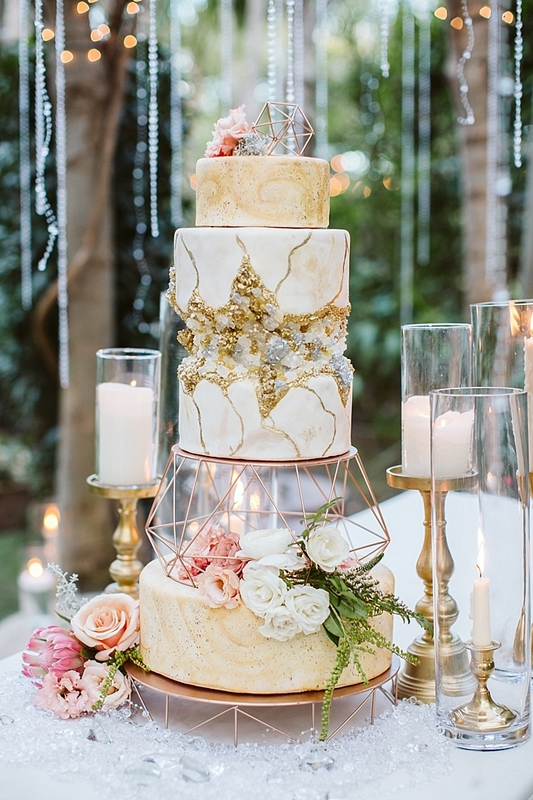 "A unique take on a crystal/geode cake that is a little rock n roll and a lot of fantasy. 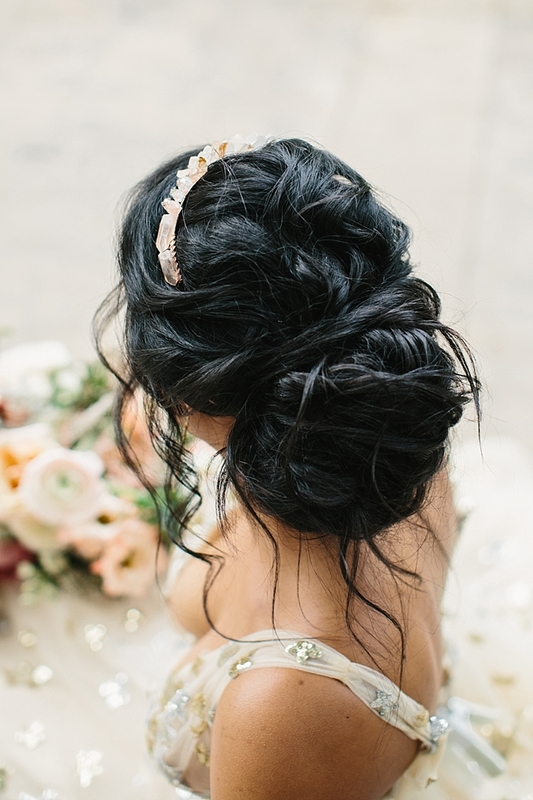 Many tiers and layers of details."